To engage its core audience, Volkswagen needed an idea that would promote how it makes car journeys more enjoyable for families. Children are increasingly looking to screens for entertainment in car journeys, so how could the auto brand use technology to stimulate children’s imagination whilst they are travelling? 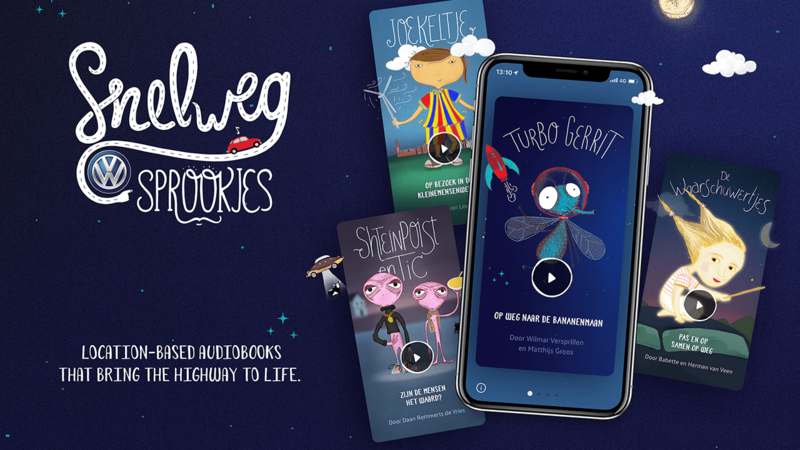 We created a digital product and a campaign that used location-based interactive audiobooks to transform ordinary road objects into magical characters of a story. ‘Road Tales’ uses a custom developed story-engine that creates unique tales based on the location of the user. To ensure the stories react to the environment, the team scanned the entire Dutch highway system to identify objects like bridges, windmills, trees, petrol stations, and other main objects to transform them into story elements.